Well-presented, neat and tidy, this classic family home offers 3 double bedrooms, sunny living, with open plan kitchen / dining area. Separate single garaging, on a good sized 607 sqm section. Good heating options, with a heat pump plus a night store heater too. 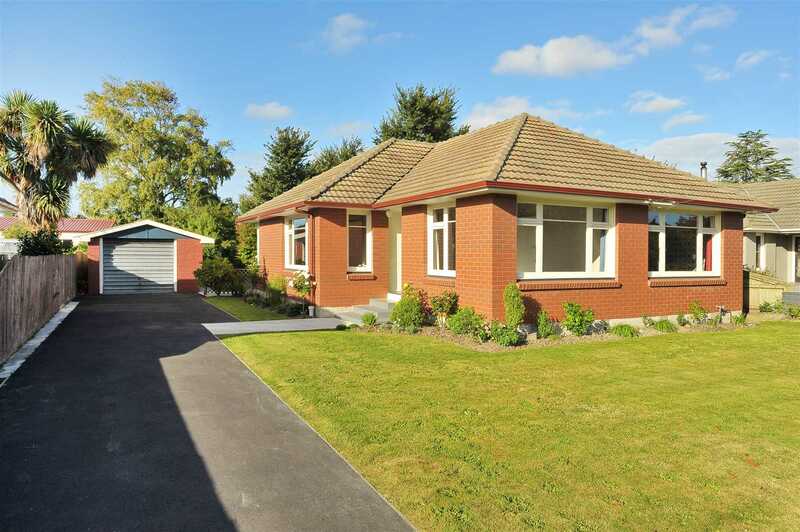 A great opportunity to secure a tidy, well presented property in a super convenient, popular location, with easy access to main arterial routes into the city, zoned for Spreydon School, as well as Middleton Grange School, with the West Watson Park plus the new Ngā Puna Wai Sports Hub nearby. Do not delay in viewing this lovely, sunny home, which is ready and waiting for a new family to move in and enjoy. Call today to arrange a viewing. Sunday 28 Apr 3:45 p.m. - 4:15 p.m.